181 Ram Swarup (1920-1998) a foremost spokesperson of Hindu spirituality and culture in India. He will probably prove to have been the most influential Hindu thinker and Hindu Revivalist in the second half of the 20th century. Arun Shourie has called him a scholar of the first rank. In the 1950s when Indian intellectuals were singing paens to Marxism and Mao, he wrote critiques of communism. He was also an author of several books, Islam and Christianity, an Imperialist Ideology and Hinduism vis-à-vis Christianity. "Hindu dharma was a great reconciler. It reconciled various viewpoints, various doctrines. It knew how to look at things from various angles and viewpoints. It knew no conflict between science and religion, between rationalism and spiritualism. It was so because it was not dogmatic in reason or religion. "Hinduism was organized for peaceful and harmonious co-existence, not for continued confrontation with external enemies in the shape of unbelievers. It is no accident of history that though Hinduism knew internal feuds like any social polity, it never crossed its borders to wage wars against people simply because they worshipped different Gods. Organized on such non-military principles, there is no wonder that Hinduism did not even have a name for itself. " "In Sanatana Dharma, there is no single life, no single judgment, or eternal punishment. There is more than one life and of course, there is no single judgment. In fact, there is no judgment at all as such, for the idea is to help and to judge and condemn. The inner dynamics of incarnation is not reward or punishment but self-improvement, and ultimately self-discovery and self-recovery, moksha." 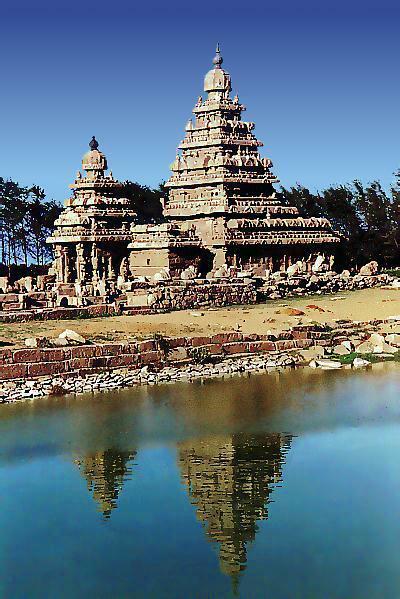 "Many countries lost all memory of their past but India has been able to preserve it though in a form badly damaged. Thus India has come to preserve spiritual traditions which many ancient cultures and countries have lost. Today Hinduism represents not only India but the ancient wisdom of humanity and therefore in a most vital way that humanity itself. In Hinduism many ancient countries can still rediscover their religious past, their old Gods and their old spiritual traditions." (source: On Hinduism Reviews and Reflections - By Ram Swarup p 1 - 46). 182. Rene Grousset (1885-1952) French art historian. Author of several books including Civilization of India and The Empire of the Steppes: A History of Central Asia. (source: The Civilization of the East – India - by Rene Grousset p. 252 - 53). 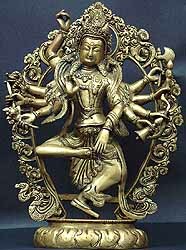 "Universal art has succeeded in few materialization of the Divine as powerful and also as balanced. He believed that it is "the greatest representation of the pantheistic god created by the hands of man." He concludes with poetic enthusiasm: "Never have the overflowing sap of life, the pride of force superior to everything, the secret intoxication of the inner god of things been so serenely expressed." (source: The India I Love - By Marie-Simone Renou p. 88-93). In the words of Rene Grousset, " The three countenances of the one being are here harmonized without a trace of effort. There are few material representations of the divine principle at once as powerful and as well balanced as this in the art of the whole world. Nay, more, here we have undoubtedly the grandest representation of the pantheistic God ever made by the hand of man...Indeed, never have the exuberant vigor of life, the tumult of universal joy expressing itself in ordered harmony, the pride of a power superior to any other, and the secret exaltation of the divinity immanent in all things found such serenely expressed." (source: The Civilization of the East – India - by Rene Grousset p.245-6). In its Olympian majesty, the Mahesamurti of Elephanta is worthy of comparison with the Zeus of Mylasa or the Asklepios of Melos." (source: Civilizations of the East - By Rene Grousset Vol. II, p. 245-246). He writes about the Indian influence in South East Asia: "In the high plateau of eastern Iran, in the oases of Serindia, in the arid wastes of Tibet, Mongolia, and Manchuria, in the ancient civilized lands of China and Japan, in the lands of the primitive Mons and Khmers and other tribes of Indo-China, in the countries of the Malaya-Polynesians, in Indonesia and Malay, India left the indelible impress of her high culture, not only upon religion, but also upon art, and literature, in a word, all the higher things of spirit." "There is an obstinate prejudice thanks to which India is constantly represented as having lived, as it were, hermetically sealed up in its age-old civilization, apart from the rest of Asia. Nothing could be more exaggerated. During the first eight centuries of our era, so far as religion and art are concerned, central Asia was a sort of Indian colony. It is often forgotten that in the early Middle Ages there existed a "Greater India," a vast Indian empire. A man coming from the Ganga or the Deccan to Southeast Asia felt as much at home there as in his own native land. In those days the Indian Ocean really deserved its name." (for more on Greater India refer to chapter on Suvarnabhumi source: Civilizations of the East - By Rene Grousset Vol. II, Chapter - Farther India and the Malay Archipelago p. 275-343). 183. George Harrison (1943-2001) former Beatle and rocker, who was the impetus for the group's spiritual quest of the 1960s which brought them to India. In 1965, he discovered the Indian string instrument, the sitar. Harrison was in India, to learn how to play the instrument under the renowned sitar maestro Ravi Shankar. But for some, Harrison brings back memories of a time when the West turned to India for inspiration and enlightenment. One reason he became interested in India, he was to say in a 1992 interview, was because "it unlocked this enormous big door in the back of my consciousness". Eventually he became a devotee of Hindu God Krishna, donating large sums of money to the International Society for Krishna Consciousness and even donating a 23-acre site outside London to the movement. He also incorporated the trademark Hare Krishna chants in his music. Harrison had been close to the International Society of Krishna Consciousness since the 1960s. The ISKCON in a statement said, "During his last days, Krishna devotees were by his side and he left his body to the sounds of the Hare Krishna Mantra." Harrison became deeply interested in India. The late George Harrison, a longtime devotee of Hinduism, left £700,000 to build a temple in the holy city of Varanasi in India according to Hare Krishna devotees. (source: He was keener on God than on rock - By Vir Sanghvi Hindustan Times 12/1/01). 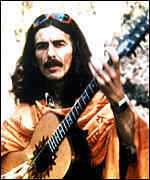 George Harrison "Beatle yogi" who linked Western pop to the strains of the sitar, would have liked himself to be remembered as the man who spread the message of Indian spirituality to the decadent West. George Harrison, the 'Quiet Beatle' was the most Indian of the quartet. It was his spiritual yearning that brought the Fab Four to the banks of the Ganga and to the feet of Maharishi Mahesh Yogi and Pandit Ravi Shankar. Harrison introduced a whole generation of western performers and entertainers to Indian music and mysticism following a 1966 visit to Rishikesh where he drank deeply of ragas and religion. (source: George Harrison: The India connection - By Chidanand Rajghatta Times of India 12/1/01). At a time before Westerners were flocking to yoga classes, Harrison became one of the first proponents of Eastern culture, studying meditation and Indian music. (source: abcnews.com). In 1973, he came up with a neatly arranged album aptly titled, Living in the Material World. The songs reflect the Hindu view of the world and a culmination of his quest for self-realisation. The song, The Art of Dying for instance, deals with the philosophy of Karma and reincarnation. He even inculcated in himself the orthodox-Hindu way of life by waking up at the crack of dawn, bathe in cold water and study Bhagvad-Gita. (source: Living in a yellow submarine - Dailypioneer.com). He passed away to the sonorous tone of Hare Krishna chants. He was a lifelong follower of Hinduism and was closely associated with the Hare Krishna movement. Harrison had produced the Chants of India, a recording of Indian religious music. A collection of mantras and prayers from the Vedas, Upanishads, and other scriptures powerfully transports the listener to a place of peace where it's possible to be one with the universe. (source: Times of India 12/03/01). "I always felt at home with Krishna. You see it was already a part of me. I think it's something that's been with me from my previous birth…. I'd rather be one of the devotees of God than one of the straight, so-called sane or normal people who just don't understand that man is a spiritual being, that he has a soul." (please refer to Lyrics for My Sweet Lord, Hare Krsna Mantra and Govinda). In his album Brainwashed, former Beatle, George Harrison’s answer is “God, God, God” and we eventually get a reading from How To Know God (The Yoga Aphorisms of Patanjali) and a chant seemingly called Namah Parvati performed along with his son Dhani. It is the perfect end to a final album of the man who took the world to the feet of the Maharishi and became Krishna’s most famous devotee. "Namah Parvati" was appended it as the album's spiritual benediction, a touching reminder that while musicians come and go, music can truly embody their spirit forever. The album is dedicated to the Yogis of Hinduism. (For more on George Harrison refer to chapter GlimpsesVI). 184. Dr R. Chidambaram (1936 - ) Principal Scientific Advisor to the Government of India has said: "Bhagwat Gita" continues to be the source of inspiration for both Indian and western scientists and "one sees a thread of similarity in the spiritual thinking of great scientists like Srinivasa Ramanujan, C V Raman, Chandrasekhar,"
He said Bhagwad Gita has influenced the thinking of even many foreign scientiss like Erwin Schrodinger and Robert Oppenheimer. "I myself have been influenced by the Saivite religious environment in my family and the great intellectual force of Advaita Vedanta," he said. 185. Houston Stewart Chamberlain (1855-1927) British born writer, and admirer of music composer Richard Wagner. In his major work, The Foundations of the Nineteenth Century, he extolled the profundity of Indian philosophy and praise of Hindu mysticism. "Indian thought is unsurpassed in depth and comprehensive many-sidedness." (source: The Soul of India - By Amaury de Riencourt p 276-279). 186. 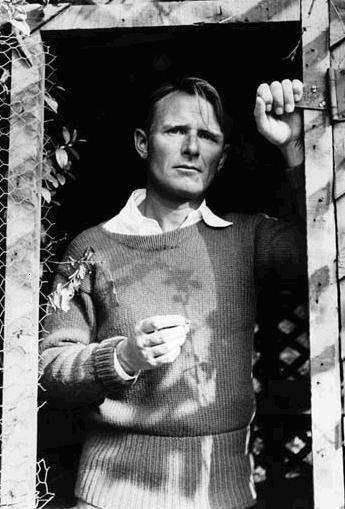 Christopher W. B. Isherwood (1904-1986) Translator, biographer, novelist, and playwright, he is the author of over twenty books, including Vedanta for the Western World and My Guru and His Disciple - a book about Swami Prabhavananda, who guided Isherwood for some thirty years. During the 1940s his interests turned from Christianity to Hinduism. With his guru Swami Prabhavananda Isherwood translated from the Sanskrit The Bhagavad-Gita and The Yoga Aphorism of Patanjali. Isherwood broke from the strictly chronological format to create a spiritual autobiography wherein the values of Vedanta Hinduism counter his life as a Hollywood scriptwriter. "I believe the Gita to be one of the major religious documents of the world. If its teachings did not seem to me to agree with those of the other gospels and scriptures, then my own system of values would be thrown into confusion, and I should feel completely bewildered. The Gita is not simply a sermon, but a philosophical treatise." (source: Living Wisdom: Vedanta in the West - Pravrajika Vrajaprana (Editor) Essay on Gita and the War - By Christopher Isherwood 93-99). Turning from Christianity to Hinduism In 1943 he became follower of Swami Prabhavananda, producing several works on Indian Vedãnta in the following decades. "The study of Japanese thought is the study of Indian thought." (source: India: Mother of Us All - By Chaman Lal p. 25). 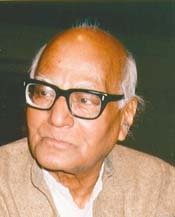 "Given the reality that Hindustan is the longest surviving ancient civilization and Hindus have to their credit so many unaccountable and such astonishing achievements of architecture and painting, music and dance, poetry and drama, epics and narratives, intellectual systems and philosophical doctrines, healing systems and mind-body disciplines, Hindus of every caste and class today should have possessed a well-informed and well-developed, intense and, fully conscious cultural pride. But one of the principal tragedies of contemporary India is that the majority of even the educated and otherwise affluent Hindus do not possess a deep and extensive knowledge of their culture-and do not give evidence of an intensely felt cultural pride.' Lacking profound cultural knowledge and intense cultural pride, India's intellectuals regard the fashionable ideas and ideologies from Europe and America as unquestionably superior to Bharat's thousands of years old Hindu culture and wisdom." There are not very many scholars of high ability and international reputation in India today who illuminate Hindu culture and Hindus' past great accomplishments. It is an embarrassing truth that the best Indologists are found in the Netherlands and Sweden, Germany and France, Japan and Italy-not in Delhi and Ujjain, Varanasi and Puri, Madurai and Mysore." "It is clear that India at the time when Muslim invaders turned towards it (8 to 11th century) was the earth's richest region for its wealth in precious and semi-precious stones, gold and silver; religion and culture; and its fine arts and letters. Tenth century Hindustan was also too far advanced than its contemporaries in the East and the West for its achievements in the realms of speculative philosophy and scientific theorizing, mathematics and knowledge of nature's workings. Hindus of the early medieval period were unquestionably superior in more things than the Chinese, the Persians (including the Sassanians), the Romans and the Byzantines of the immediate preceding centuries. The followers of Siva and Vishnu on this subcontinent had created for themselves a society more mentally evolved - joyous and prosperous too - than had been realized by the Jews, Christians, and Muslim monotheists of the time. Medieval India, until the Islamic invaders destroyed it, was history's most richly imaginative culture and one of the five most advanced civilizations of all times." The descendents of those who built the magnificent temples of Bhojpur and Thanjavur, Konark and Kailas, invented mathematics and urban surgery, created mind-body disciplines (yoga) of astonishing power, and built mighty empires would almost certainly have attained technological superiority over Europe." (source: Need for Cultural pride - Revival - By Rizwan Salim The Hindustan Times 9/20/1998). 189. François-Auguste-René Rodin (1840-1917) French sculptor, who imbued his work with great psychological force, which was expressed largely through texture and modeling. He is regarded as the foremost sculptor of the 19th and early 20th centuries. "This full, pouting mouth, rich in sensuous expressions, these lips like a lake of pleasure, fringed by the noble, palpitating nostrils." 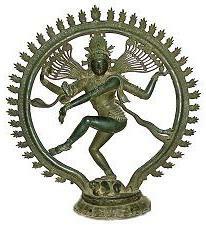 Rodin described the statue of Nataraja or King of Dance - as the perfect embodiment of rhythmic movement. (source: Indian Art - By Vidya Dehejia p. 12). 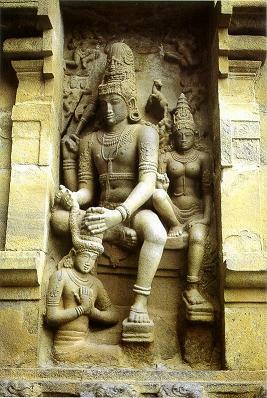 For more refer to chapter on Hindu Art. He was overwhelmed when he saw the Chola sculptures in 1913. "There are things that other people do not see: unknown depths, the wellsprings of life," he said. "There is grace in elegance; above grace, there is modelling; everything is exaggerated; we call it soft but it is most powerfully soft! Words fail me then." (source: Chola: Sacred Bronzes of Southern India - By Joanna Pitman at the Royal Academy - The Times). "The descendents of those who built the magnificent temples of Bhojpur and Thanjavur, Konark and Kailas, invented mathematics and urban surgery, created mind-body disciplines (yoga) of astonishing power, and built mighty empires would almost certainly have attained technological superiority over Europe." " An interesting monograph could be written on the Gita as symptomatic of trends in nineteenth-and twentieth-century European and American scholarly thought." ( source: The Universal Gita: Western Images of the Bhagavad Gita a Bicentenary Survey - By Eric J. Sharpe p. 14). "Long before the year 460 B.C. in which Hippocrates, the father of European medicine was born, the Hindus had built an extensive pharmacopoeia and had elaborate treatises on a variety of medical and surgical subjects...The Hindus' wonderful knowledge of medicine has for some considerable time led them away from surgical methods as working destruction on the nervous system, which their scientific medical system is able to obliviate, producing a cure even without a preliminary crisis." (source: Matter, Myth and Spirit or Keltic and Hindu Links - By Dorothea Chaplin p. 168-9). "because the images of statues are like a battery which is charged over the ages by the adoration of the devotees, who in turn can draw energy, inspiration, or grace from these statues." She goes on: "As a battery, the energy in the statue will not get discharged, as long as the faithful continue to worship it by their adoration." And she concludes: " Gods are thus created by the energy given out by the faith in their existence." (source: Arise O' India - By Francois Gautier p. 15). He could not but praise "the ancient and high civilization of the inhabitants of India." (source: The Invasion That Never Was - By Michel Danino and Sujata Nahar p. 17). 194. Professor Rudolph Otto (1869-1937 Was associate professor at Göttingen. Eventually he became a professor of systematic theology, first at Breslau in 1915, then at Marburg in 1917. He is emphatic that the idea of a Son of God is certainly not from Israel....The figure of a being who had to do with the world, is of high antiquity among the Aryans....and points back in some way to influences of the Aryan East. "These materials are found in India, in more primitive forms not merely as a late period but in the remotest pre-Christian Kausitaki Upanishad." (source: Eastern Religions and Western Thought - By Sir Sarvapelli Radhakrishnan. p. 161). "The Hindoo...are distinguished for some of the finest qualities of the mind; they are brave, generous, and humane, and their truth is as remarkable as their courage. " 196. David Frawley ( ? ) also known as Pandit Vamadeva Shastri the American eminent teacher and practitioner of Ayurvedic medicine and Vedic astrology and author of several books, including Arise Arjuna : Hinduism and the modern world and Awaken Bharata: A Call for India's Rebirth - in which the need for a new intelligentsia, "intellectual kshatriya" or intellectual warrior class trained in Vedic dharma, to handle challenges was emphasized. "The Hindu mind represents humanity's oldest and most continuous stream of conscious intelligence on the planet. Hindu sages, seers, saints, yogis and jnanis have maintained an unbroken current of awareness linking humanity with the Divine since the dawn of history, and as carried over from earlier cycles of civilization in previous humanities unknown to our present spiritually limited culture." "The Hindu mind has a vision of eternity and infinity. It is aware of the vast cycles of creation and destruction that govern the many universes and innumerable creatures within them." (source: Hinduism and the Clash of Civilizations - By David Frawley p. 12-13). A Westerner who has sloughed off the Western world view, Frawley looks Eastwards, finding in the ancient Indo-European tradition of the Vedas spiritual nourishment and superior insights into the moral, environmental and political questions faced by all mankind. He sees in Western monotheism the basis for the present commercial monoculture of "globalisation". That is to say, the singularity and certainty underlying so much of the Judaeo-Christian mindset is finding new and secular outlets. Those who promote Western notions of "democracy" and "human rights" above all other forms of social organisation, who regard "market forces" as all-powerful (surely a modern superstition) and who wish to impose a politically-correct blandness on the world are "secular missionaries" as fanatical as their religious antecedents, if not far more so. Frawley values the ancient wisdom of the Vedas above the mainstream Judaeo-Christian tradition because the latter has falsely enthroned man over nature. The Vedic tradition, by contrast, is pluralistic and ecologically aware. Frawley, whose native "civilisation" (the USA ) is ethically challenged, calls for a renaissance of Indian culture. He believes that there should be a new form of "truth struggle", or satyagraha, to use Gandhi's word, against the soul-destroying influence of global monoculture. "…it honors the Earth as the Divine Mother and encourages us to honor her and help her develop her creative potentials. The deities of Hinduism permeate the world of nature…they don't belong to a single country or book only. It is not necessary to live in India to be a Hindu. In fact, one must live in harmony with the land where one is located to be a true Hindu. "I see Hinduism as a religion eminently suited for all lands and for all people because it requires that we connect with the land and its creatures - that we align our individual self with the soul of all beings around us. Hinduism finds holy places everywhere, wherever there is a river, a mountain, a large rock, or big tree, wherever some unusual natural phenomenon be it a spring, a cave, or a geyser." "True religion, whether it predominates in the Eastern or Western parts of the world, is not a matter of geography," says Frawley. "All the religions of the world are followed in areas far beyond the geographical locale of their origin. Religion speaks of the ultimate issues of life and death and should orient us to the Eternal and the Universal. In this respect, Hinduism with its universal view has greater relevance for all human beings than any belief system, which divides humanity into believers and non-believers." (source: The need for a new Indic school of thought and About.com). For more refer to chapter on Nature Worship. The Indian tradition is pluralistic and has always offered freedom of worshipping the divine in the name and form of one's choice and according to one's individual samskaras. It is pluralistic both at the level of religious practices as well as philosophical teachings. For this reason we find more religions inside Hinduism than among all of the world's religions put together. Pluralism means freedom. It means that we should accept religious differences as a fact of life, like other natural variations. We need freedom to arrive at the truth. The pursuit of dharma, the urge for self-realization and desire for liberation are common to all paths. Rather than as a cause for confusion, I see Indian pluralism as constructively facilitating an individual's spiritual quest. (source: Vedacharya from the West - Times of India March 30, 2000). David Frawley has convincingly argued, the central value of Hinduism is not “tolerance” (as interested parties try to make Hindus believe) but truth. (source: Bharatiya Janata Party vis-a-vis Hindu Resurgence - By Koenraad Elst p. 135). 197. Pierre Loti (1850-1923) pseudonym of Louis-marie-julien Viaud, a novelist whose exoticism made him popular in his time and whose themes anticipated some of the central preoccupations of French literature between World Wars. Loti's career as a naval officer took him to the Middle and Far East, thus providing him with the exotic settings of his novels and reminiscences. Some of his books include Voyages 1872-1913 and L'Inde sans les Anglais. "And now I salute thee with awe, with veneration, and wonder, ancient India, of whom I am the adept, the India of the highest splendor of art and philosophy. May thy awakening astonish the Occident, decadent, mean, daily dwindling, slayer of nations, slayer of Gods, slayer of souls, which yet bows down still, ancient India, before the prodigies of thy primordial conceptions!" 198. William Edward Hartpole Lecky (1838-1903) Irish historian, essayist, author of The Substance of History of European Morals (From Augustus to Charlemagne). He quotes an old tradition in Greece that Pythagoras himself had come to India and learnt philosophy from the gymnosophists. It seems he believed in an "all-pervading soul" which is at least one important attribute to Hindu atman. Pythagoras believed in rebirth or transmigration ; he taught and practiced harmlessness or no-injury, he taught silence; he taught that the end of man is to "become like God". Orphic mysteries taught release (lysis) from all material entanglements, which is close to moksha of the Hindus. (source: On Hinduism Reviews and Reflections - By Ram Swarup p. 197). (source: The Universal Gita: Western Images of the Bhagavad Gita a Bicentenary Survey - By Eric J. Sharpe p. 4). 200. Prince Muhammad Dara Shikoh (1627-1658 AD) the favorite Sufi son of Moghul emperor, Shah Jehan. Known the world over for his unorthodox and liberal views. He was a mystic and a free thinker. 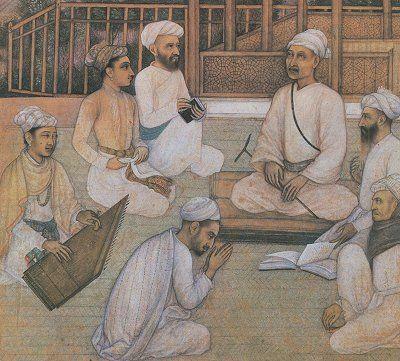 Dara Shikoh's most important legacy is the translation of fifty Upanishads, known under the title of Sirr-i-Akbar ("The Great Secret"). It was completed in 1657, together with paraphrases and excerpts from commentaries which in various cases, though by no means throughout, can be traced back to Sankara. He had learned Sanskrit and studied the Hindu scriptures in the original. He studied the Torah, the Gospels and the Psalms, but it is the "Great Secret" (Sirri-i-Akbar) of the Upanishads which, in his view, represents the most original testimony of the oneness of God or the Absolute. His personal fate is well-known: in 1659, two years after the completion of the Sirr-i-Akbar, he was executed by order of his brother, Aurangazeb, and with the consent of the Islamic orthodoxy community (Ulama), who claimed that he was a heretic and a danger to the state, the faith and the public order. (source: India and Europe: An Essay in Understanding - By Wilhelm Halbfass p. 34). He translated the Upanishads, Bhagavad Gita and Yoga - Vashishta into Persian directly from Sanskrit and called it Sirr-e-Akbar (The Great Mystery). Titled "The Upanishads: God's Most Perfect Revelation" and then into Latin by Anquetil Duperron (1801 and 1802) under the title Oupnekhat, contained about fifty. This translation introduced Western readers to the Upanishads. Schopenhauer's reaction to it is well-known. The Quran itself, he said, made veiled references to the Upanishads as the "first heavenly book and the fountainhead of the ocean of monotheism." "After gradual research; I have come to the conclusion that long before all heavenly books, God had revealed to the Hindus, through the Rishis of yore, of whom Brahma was the Chief, His four books of knowledge, the Rig Veda, the Yajur Veda, the Sama Veda and the Atharva Veda." Dara Shikoh, wrote in his Persian translation of the Upanishads. In his Majma al-Bahrain, he sought to reconcile the Sufi theory with the Vedanta. And in introduction to this work he says that one finds in Upanishads the concept of tawhid (the doctrine of Unity of God, the most fundamental doctrine of Islam) after the Qur'an and perhaps the Qur'an refers to Upanishad when it refers to Kitab al-Maknun (The Hidden Book). His work Majma`ul Bahrayn (Mingling of the Two Oceans i.e. Hinduism and Islam) is very seminal work in the history of composite culture of India. Two years after the completion of the Sirr-i-Akbar, Dara was executed on the orders of his brother - Aurangazeb. (source: http://ecumene.org/IIS/csss59.htm and dailypioneer.com ).